Get your hands into shape and keep them that way with this easy, three step male manicure. 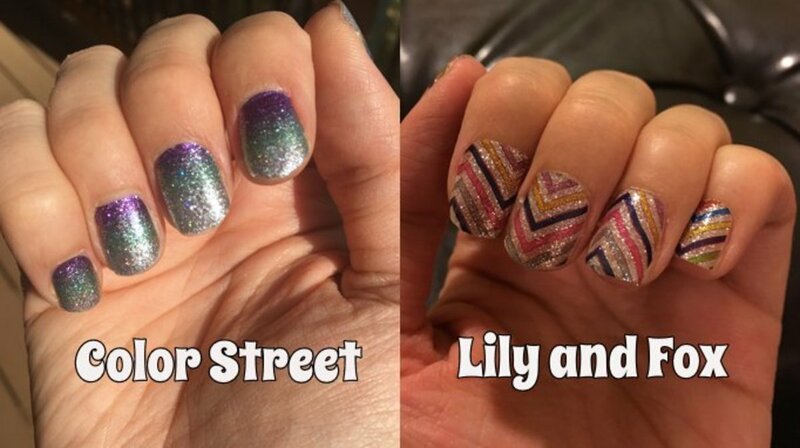 If you’re really daring, you could go a step further and add a touch of nail polish. As a man, you don't want hands as soft as a lady's glove. You need a few calluses for protection, especially if you do a demanding manual job. In fact, some would say that strong, hard working, callused male hands are extremely attractive, but that’s no reason not to take care of them. Dry, chapped hands are not attractive. Nor are dirty, jagged nails and unchecked cuticles. If this describes your hands, it’s time for a manicure. Once you’ve got your hands in tip top condition, which is as easy as one-two-three, it takes just a minute or two each day to keep them that way. If your nails are a little on the long side, you'll need to cut them. Use clippers rather than scissors. 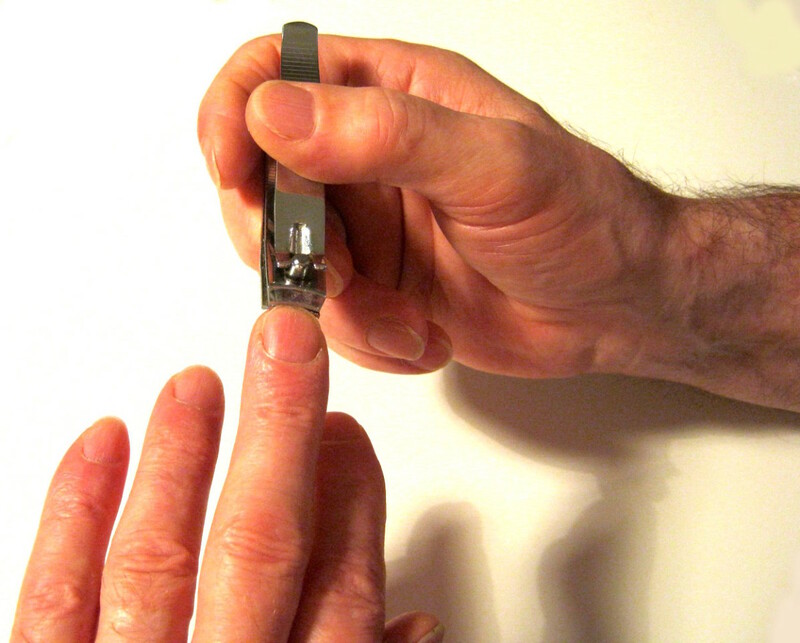 Because a man’s nails are usually larger than a woman’s, toenail clippers work best. If your nails aren’t too long, you can shorten them with the coarse side of an emery board. Always file from the outer nail to the center; a back and forth movement can weaken the nail, causing it to eventually split. Whether you’ve used clippers or a file to reduce length, even out any rough edges with the fine side of an emery board. 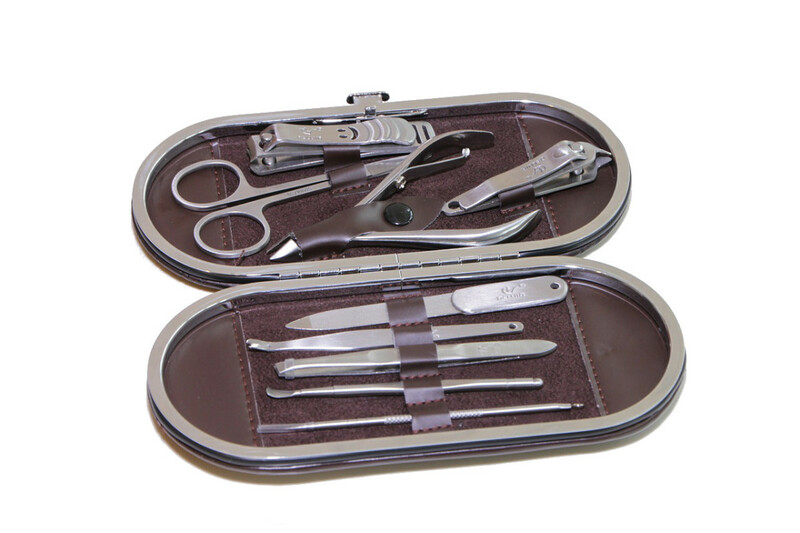 There's a metal nail file in every male manicure set, but it will cause untold damage. If you want to keep your nails healthy, choose one made of glass, diamond, sapphire or ceramic. Otherwise, the disposable emery board is the most convenient and hygienic. Basically, the cuticle is hard, dead skin that grows up the nail, making hands look scruffy and unkempt. If you want to appear well-groomed, it's important that you keep your cuticles pushed back. Begin by scrubbing your nails with a nail brush. Soak your fingers in warm, soapy water for about ten minutes. 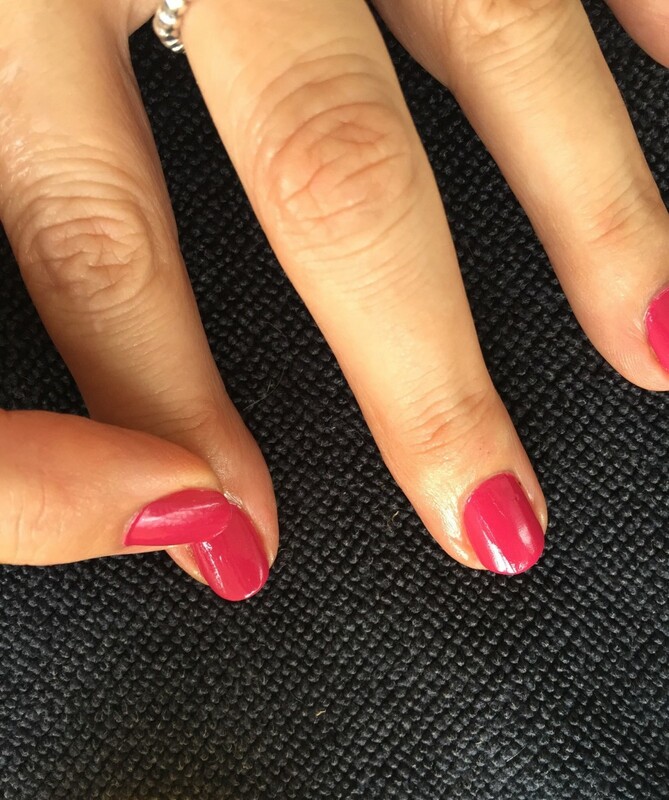 Apply cuticle remover and allow it to work for five to ten minutes. In case you don't have cuticle remover, use petroleum jelly or coconut oil instead. Using a rubber cuticle hoof, gently push your cuticles back. Carefully pull away any remaining strands with tweezers. If you cut your cuticles once, you might have to keep cutting them for the rest of your life. Apart from that, it makes them grow faster as well as leaving nails prone to infection. Finish by massaging hand cream into your hands and nails. If you push back your cuticles with a towel once a day after washing your hands, and apply hand cream every night before bed to keep cuticles soft and skin in good condition, there’ll be no need to do a complete manicure on a regular basis. All you’ll have to do is shorten your nails once a week with an emery board. You may want to go a step further and apply nail polish, but be careful—not all men can pull it off. If you’re unsure, think in terms of David Beckham and Johnny Depp. Some stylists advocate a matte product for men, but if you choose a traditional masculine color like black or a vivid blue (as opposed to pink or red), it really doesn’t matter. There is, however, a brand called ManGlaze that produces countless matte finish colors with men in mind. Or you can use a special top coat that mattifies glossy nail polish. Don’t use hand cream before applying nail polish, and make sure your nails are completely dry; moisture or fat will cause the polish to split. Apply a colorless, ridge-filling base coat. Brush on from the base of the nail to the tip. 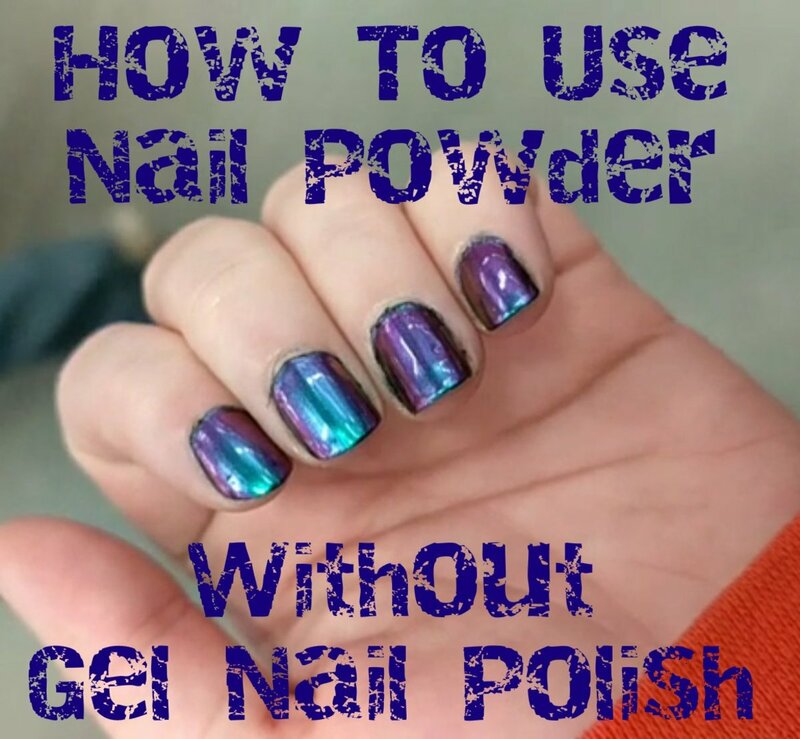 This levels off the nail surface for a smooth finish, helps the polish adhere to the nail, and prevents nail discoloration caused by colored polish. Wait about five or ten minutes for the base coat to dry, then apply the color. 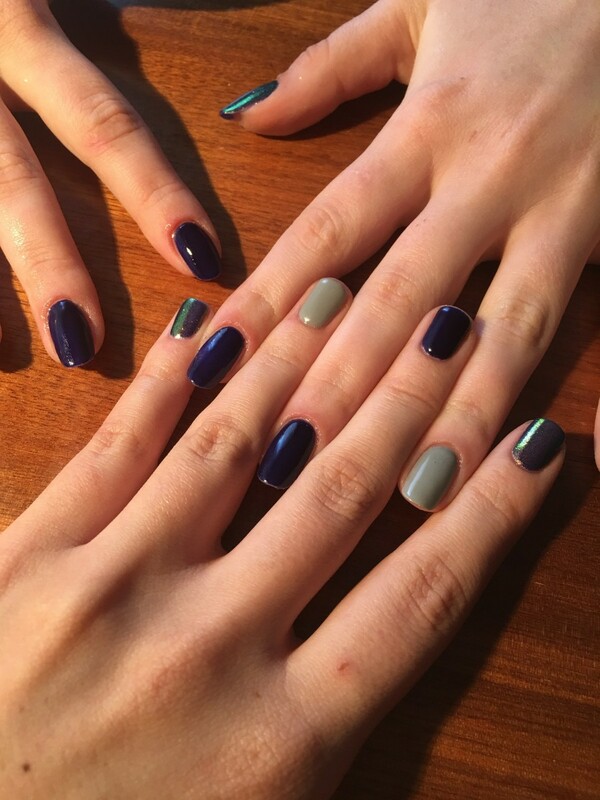 Paint a vertical line of polish on the center of the nail working from base to tip, then do the same again to fill out the sides. 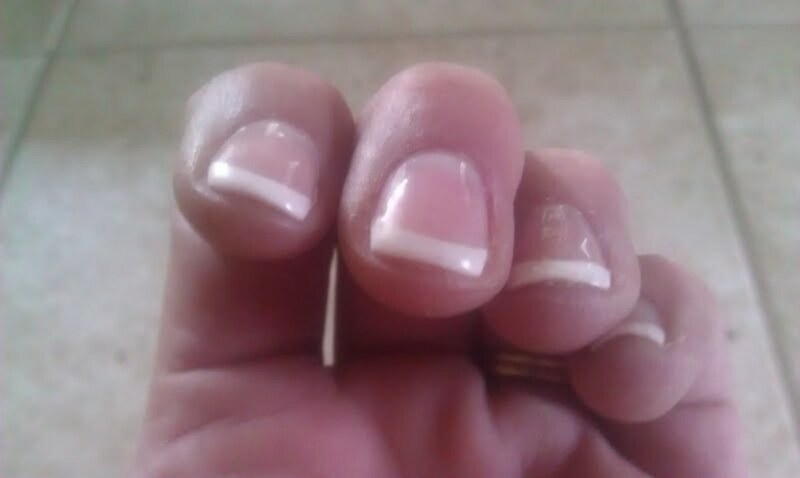 You should be able to cover the whole nail in three strokes. Load the brush only once for each nail. Wait five or ten minutes before applying a second coat. 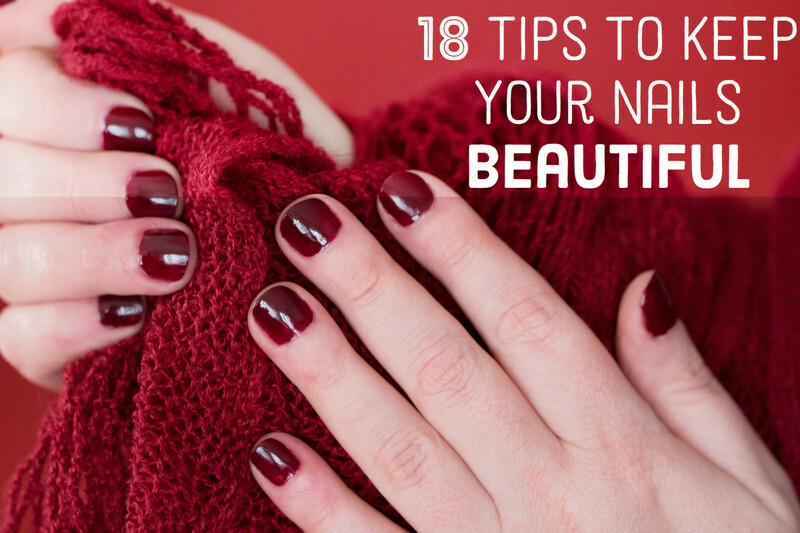 If you get nail polish on your skin, carefully wipe it away with a cotton swab soaked in nail polish remover. When the second coat is completely dry, apply a clear top coat to help protect the polish from knocks and chipping. 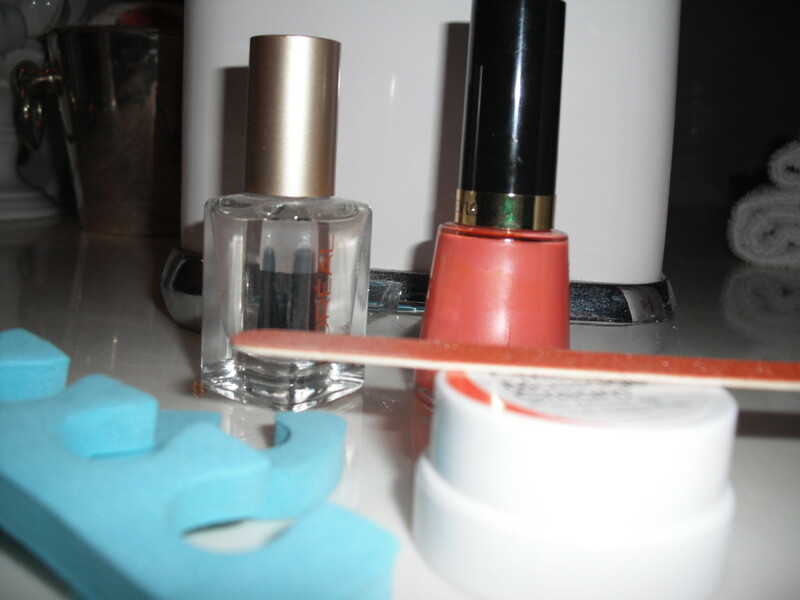 Apply nail polish remover to a lint free cotton pad and wipe the nails from base to tip until all color is removed. Then wash your hands and apply hand cream, massaging well into the nails. Only when I go out. Only when I go out, but it depends on occasion and company. I'd like to, but haven't got the nerve. Interesting hub, I don't think I could get my hubby to put nail polish on though, in fact I know I couldn't!